Moira and Peter have been having an affair for a decade. He’d promised to finally tell his wife today, but then Peter promises a lot of things. Something’s got to give. And it does, when a crack in Moira’s ceiling gives way to something they could never have expected. Tensions rise and the destruction intensifies, threatening to engulf the couple completely. Moira finally starts to question their relationship and what it’s doing to her. When is enough enough? 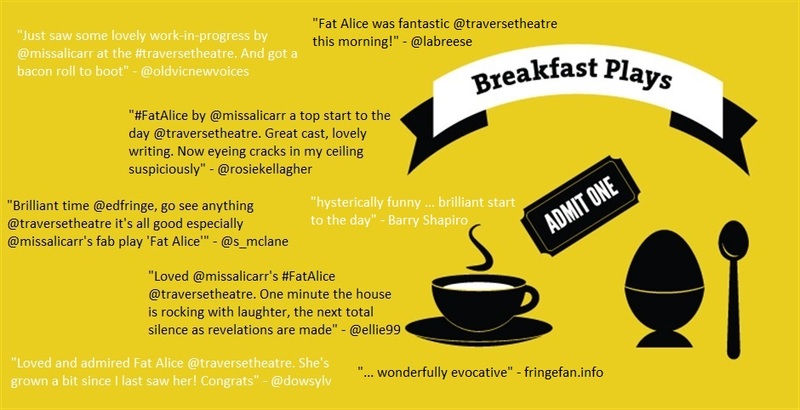 FAT ALICE was commissioned by the Traverse Theatre and presented in the Festival 2014 Breakfast Plays series. 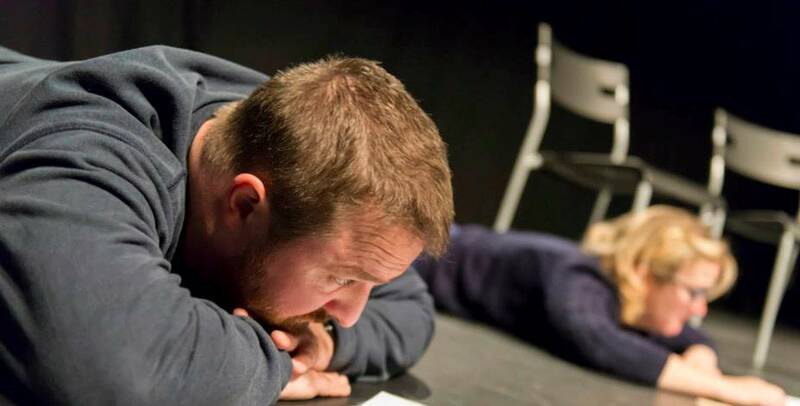 It was subsequently commissioned for A Play, A Pie and A Pint and presented in collaboration with Aberdeen Performing Arts at The Lemon Tree, Aberdeen; Óran Mór, Glasgow and the Traverse Theatre, Edinburgh in March – April 2015. Directed by Joe Douglas. 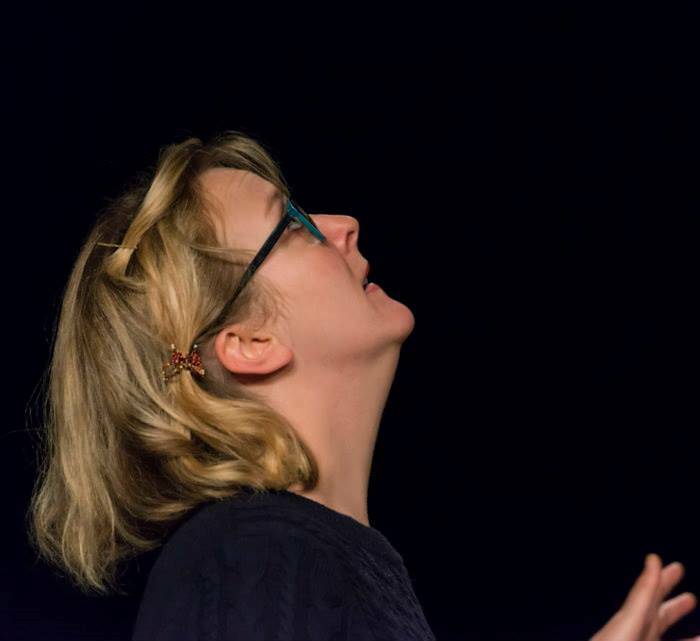 FAT ALICE started its life as a 20-minute short that was directed by Zinnie Harris and presented as part of the Traverse Theatre’s Write Here Festival 2013 – read my BLOG POST. 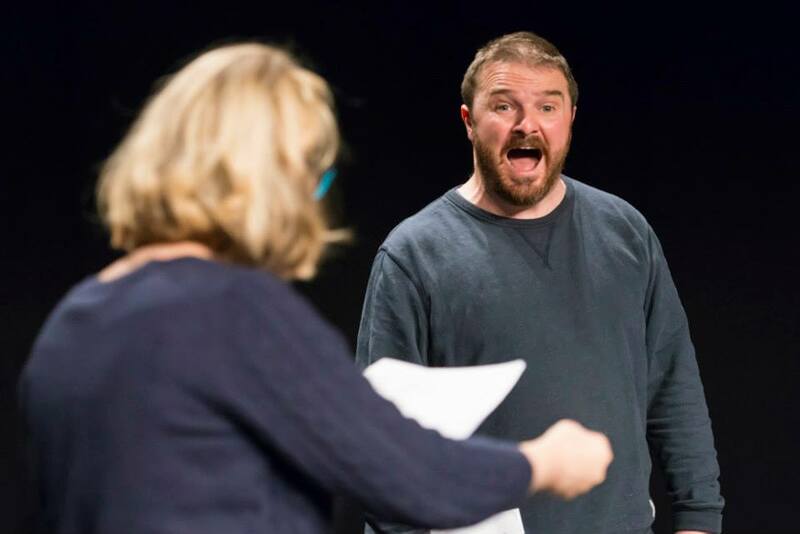 It was subsequently commissioned and presented as part of the Traverse Theatre’s Breakfast Play line-up in August 2014 – BLOG POST here.